The final day of your Power Picking training is here. In day 29 you had an accompaniment Jam with Prashant. In today's lesson you'll be doing the same, but he challenges you to go deeper. Add in some 32nd note rhythms and start delving into creating your own motif's to add to the complexity of your jam. Day one of power picking introduces a pentatonic lick to get you started. Nothing fancy here, just work on your basic alternating pick strategy. In day two's exercise you'll be looking at the same lick from day one, but this time adding different dynamic through use of hammer-ons. Day three of Prashant's 30 day picking technique course introduces the concept of hybrid picking. You'll start of slow and simple with this one and gradually add complexity in the next several lessons. In lesson 5, Prashant offers up a new lick to study that will incorporate multiple strings. This will work on your picking accuracy across those multiple strings and add more texture to your playing. Lesson 6 is all about discovering how to move licks into higher and lower octaves. You'll be using the lick you learned in the previous lesson and moving it to different strings. Day 6 in the picking workout consists of making the most recent lick you learned more complex. You'll be adding new notes and incorporating hybrid picking. 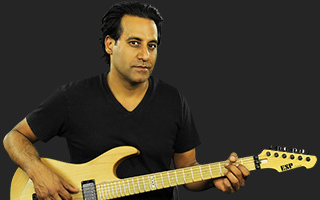 In the day 7 lesson, Prashant introduces you to what is commonly referred to as sweep picking. This technique allows for fast and efficient scale and arpeggio runs. Day 8 you'll be continuing with the sweep technique while also adding longer phrases, octaves and slides. In day 9 of your picking course, it's time to start thinking more about motifs. A motif is a repeating rhythmic phrase that can add power and intensity to your soloing. In day 10 of your 30 day exercise program, it's time to once again take a look at hybrid picking. This time you'll be upping the complexity further by adding string skipping to your lick. Day 11 is all about adding to what you know with hybrid picking. Using a repeating progression, Preshant demonstrates how to add a third finger to this technique to help with both speed and accuracy. Day 12 has yet another hybrid picking style lick to challenge you. This technique is a cornerstone of speed and accuracy and as a result is revisited at length. Over the past couple days you've seen how hybrid picking can help speed and accuracy. 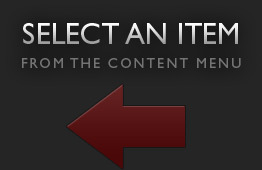 It's now time to get there using alternate picking. Building off of the motifs you've been working on, it's time to start incorporating patterns as well. Preshant offers up another practice lick to push your picking further. Starting off the second half of your 30 day training, Prashant talks about how to create memorable licks using the techniques you've been learning. You're looking at a much longer lick this time that encompasses all of the ideas and techniques covered so far. Day 18 is all about arpeggios and syncopation. You'll be utilizing the picking techniques you've learned so far to navigate a deeper lick. Just like in your day 17 lesson, day 19 is all about putting all the skills you've learned into a single lick. To make it a bit more difficult, this lick will be shorter and more packed with technique. A new day brings new challenges. In your lick today, Prashant provides a barring exercise mixed with hybrid picking. Day 21 is all about taking the barring techniques you've learned recently and transporting them around the neck. Prashant offers up a lick designed to help you with just that! Using the barre technique you've been working on, Prashant offers up a daily lick that traverses the neck of the guitar and loops back onto itself. The next lick in your 30 day picking challenge is a short lick that is designed to get into and out of quickly. Day 25 is all about increasing your fretboard knowledge. Using what Prashant dubs a sliding arpeggio lick, you'll be able to gain confidence with which notes you're after when you're soloing. Day number 27 is the descending portion of the multi-part lick that Prashant is teaching over the closing days of this 30 day program. In lesson 29, you're going to add some small turnarounds to the ascending and descending portions of the lick you're working on, then put those pieces together. About Prashant Aswani View Full Biography Few musicians can say they’ve had such a diverse background in music, ranging from Indian classical to rock fusion, and many genres in between. Even fewer can say they recorded their first solo album while still attending Berklee College of Music. Prashant Aswani, however, can attest to these, and even more, jaw-dropping experiences. Prashant has recorded Four Solo albums including “Revelation”, “Duality”, “Sonically Speaking”, “Visions” and one soundtrack “Frequency” released by Lakeshore Entertainment. Currently, Prashant is the featured artist on iFrankenstein Movie Soundtrack (Lakeshore Entertainment) and is Producing AJ Mclean’s(Back Street Boys) solo album. In addition he is currently recording his fifth solo album with Jose Pasillas (Incubus) and Rhonda Smith (Prince, Jeff Beck).